The possibility of facing an epidemic of over a million people infected with the Ebola virus by January 2015 is startling, yet the current crisis has failed to harness the degree of attention the public should be paying to the outbreak. While the Islamic State has been a formidable competitor for headlines across the world, Ebola poses a far greater immediate threat than IS. Our current political reactions, however, have not reflected this fact. The beheadings of Richard Foley and Steven Sotloff have captured American attention and were graphic enough to then lead to a bi-partisan resolution to commence ongoing military intervention. Yet the use of force against a group that has demonstrated minimal, if any, violent reach outside of its limited geographic region is cause for questioning, especially when the U.S. just recently wrapped up a decade-long conflict in Iraq and is now attempting to do the same with its conflict in Afghanistan. Meanwhile, plenty of local actors have a vested interest in seeing IS’s demise. U.S. involvement should be focused on more immediate and credible threats to the U.S. population. Ebola has already killed 3000 people in West Africa and Wednesday marked the first case of the virus diagnosed on U.S. soil. . The virus has an incubation period of 2 to 21 days. That means that someone with the virus may not know he or she has it until he or she has infected multiple others. West Africa has certainly shown us the regional difficulties of managing a disease of this magnitude. Beliefs the disease does not exist, lack of education and sanitation, and lack of medical resources including lack of health care workers all contribute to the high rate of infection and mortality. As of September 23, 211 health care workers had died from the disease. Perhaps the greatest issue is the number of dead that continues to rise. The bodies are highly contagious and require teams to come in for their extraction. People are dying faster than the bodies can be handled. 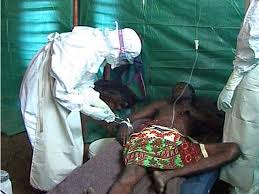 So far, the outbreak in West Africa has principally affected Liberia, Sierra Leone, Nigeria and Guinea. 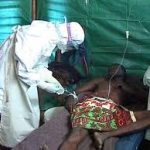 However, an unrelated outbreak is now confirmed in the Democratic Republic of the Congo where 42 people have died. A diagnosis here on U.S. soil is a great concern. Our administration recently announced contributing $780 million to fight the spread of the disease. Yet the U.S. has already spent this amount in its fight against IS. There are reasons to suggest a re-prioritization of priorities is in order. With a deal struck to lighten sanctions on Iran in exchange for access to and observation of the Iranian nuclear program, and a political resistance to entering another foreign entanglement in Syria, it appears the United States has entered into a new era on foreign policy. The truth is, that when it comes to the Middle East, relationships are tenuous and the ground ever-shifting. Such a dynamic is a natural cause for hesitancy to involve oneself in the region’s disputes. Syria represents an extraordinarily complex patchwork of alliances and feuds. 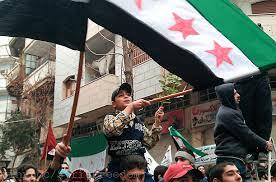 Hezbollah, the predominant militant group in Lebanon, supports Syrian President Bashar al Assad and the government. 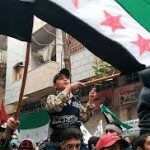 Al Qaida has taken up arms in resistance to Syria’s regime. And yet our hands-off approach with Syria has proved advantageous from the standpoint that we have not entangled ourselves in a drag-out conflict where sides are blurred and resources are squandered. In fact, the fighting between opposition forces and the Syrian government has resulted in steps towards the dismantling of Syria’s chemical weapons. The tragedy of 100,000 dead and the creation of nearly three million refugees was very nearly one that would have been shouldered by the U.S.
With uncertainty as to Egypt’s future, pressure on the Iran issue from the hawks in Israel, and an ongoing siphon of U.S. resources just to the east in Afghanistan, there is no question why the U.S. is playing its cards with caution. And as far as the U.S. is concerned with Iran, frankly, the Iranian nuclear interim agreement represents the absolute best case scenario for the U.S. under current circumstances. A war with Iran would result in tragic levels of debt at the least, and a massive humanitarian tragedy at the most. Iran has emphatically stated it will never stop enriching uranium so, short of war and with no agreement, Iran would find a way to obtain a nuclear weapon. The U.S. has bargained for a higher vantage point in its relationship with Iran. 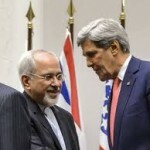 While the deal might seem like a short-term failure given that Iran appears to have given up relatively little in exchange for $7 billion in sanctions relief, the truth is that the U.S. stands to gain a long-term position as one of the foreign overseers of Iran’s domestic nuclear program. If anything goes wrong in the interim, the United States along with its allies can impose even harsher sanctions (or even go to war if one wants to take it that far). Israeli’s Prime Minister, Benjamin Netanyahu has not stifled any disagreement with the plan labeling the move as an “historic mistake.” And Israel’s concerns are valid. An Iran with nuclear military capabilities poses a threat to Israel’s security. But a war with Iran, over a program Iran agrees will be overseen by international observers for domestic production, would be premature to say the least – especially since the U.S. would be footing the cost. All of this begs the question: What now is our nation’s role in the Middle East and in international affairs more broadly? While we are reducing our military presence in Europe we are only expanding its presence in the Asia-Pacific region. How are we to take into account the nearly one trillion dollars scheduled in Defense cuts over the next decade? The answer may lie in the kind of wait-and-see diplomacy demonstrated by our exercise of restraint in Syria and the Iranian nuclear interim agreement. Certainly it makes sense when looking at the bill. Again we face military intervention in the Middle East, this time from a President who has come to Congress for authorization. There is no doubt that action by the United States, absent the formation of a coalition or joint resolution with other nations, would be an act of war against the Syrian government. We face no imminent threat from Assad nor from the chemical weapons he has chosen to unleash against his own people – horrific as these events are. An act of war, at this time in our nation’s history, is perhaps the last thing we need. Who amongst us is still advocating international intervention of this kind? Are we not able to honestly reflect on our current capabilities as a nation? We have borrowed money to spend it again on our policing powers. Our trade deficits show we are now importing security. So what should our leaders do? Any proposed military action by the Obama Administration or by Congress should be outright rejected. Our economy, while having shown signs of slight recovery, still drags its feet with 7.4 percent unemployment. The government programs that are still functioning drastically underserve their stated objectives – despite many of their objectives being too broad, too deep, and too overlapping. Our infrastructure is wearing and outdated. 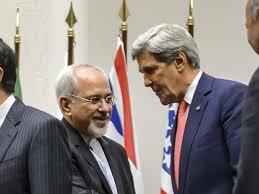 John Kerry’s words heard around the world two days ago declared “This is not the time for armchair isolationism. This is not the time to be spectators to a slaughter.” Mr. Kerry: By an act of war against a non-aggressor, you will be slaughtering our Nation’s future. If strikes against the Assad regime were intended to be limited, as Obama suggests, then striking their chemical weapons capabilities would not be a scenario where “the punishment fits the crime.” On the other hand, a strike that cripples the regime and tips the balance of power in favor of the rebels (as the United States did for Libya) means the United States would be ushering into the power vacuum a proxy regime likely made up of al-Qaeda and other extremist groups. For now, as the G20 Summit wraps up, world leaders are tremendously divided. China and Russia remain opposed to action against the Assad regime, while only France and the United States have committed to using force. Even the Pope has weighed in, urging leaders to put aside prospects for military action. To make a dire situation enormously worse, Yale law professor Stephen Carter points out the “limiting lanaguage” in the Senate’s Syria Resolution is deceptively broad. Finally, authorizing a strike to oppose Assad’s use of chemical weapons to massacre his own people is not morally superior to opposing Assad’s use of conventional weapons against his own people. The propensity of chemical weapons to inflict greater indiscriminate harm on civilian populations than their conventional counterparts originally led to their condemnation in the international community. However, in his use of both chemical and conventional weapons, President Assad has proved indiscriminate towards the killing of civilians and rebel fighters. FERC Denies Jordan Cove, For Now.